You can never get a good web hosting provider for your website without first knowing what you need. The first step towards choosing a web host is to understand your business requirements and then moving forward in the process of choosing the best web hosting service. Do you need a backup solution or high-speed internet, do you need a cPanel for your hosting or do you need a domain; these are the type of questions you should be asking yourself to realize your website needs. There are dozens of web hosting providers in the market who offer you services based on your current requirements. Fast loading speed, 24/7 support, free domain names and many other features are offered to a customer. As a customer, you need to carry out your research on web hosting companies and the services with packages they offer so that you can compare the prices with other companies in order to choose the best web hosting provider. 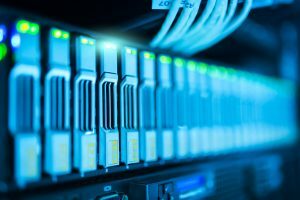 In this article, I am going to share 10 things to check before you opt for a web hosting service. There are certain things you need to consider like downtime and price which are very important for your business budget so that you can smartly spend on only those services which are really worth for money. Before purchasing a hosting service, you always check the price for first time purchase of the service and the renewal fees. Most hosting companies offer the first time service at a discounted price but when it is time to renew the service the company charges you double. This is not a fraud of any kind due to the fact the service was offered at a discounted rate and now the original fees are being charged. See if the hosting provider you are considering provides life or 24/7 support for any issues or queries you might face. Whenever you need support regarding your hosting, the support team should be able to resolve your queries in minimum time by providing you the best solution possible. Your web hosting provider is also vulnerable to online threats which don’t specifically guarantee the safety of your data and thus regular backups are essential by the hosting provider and at your end too. This will ensure you that your data is safe and there are multiple copies so that you can retrieve your data whenever you want. There are various terms and condition of hosting service and you should go through all of them thoroughly before you accept the terms or start using the service. Ask questions about company and service policies which won’t later land you in trouble in case you have breached rules or service cancellations fees. This also includes the exit strategy which is about how you can quit using the service and change your service provider. People always rate a particular service good or bad based on their experience with the hosting provider. Online you will be able to find many reviews about various hosting providers which will guide you towards making the right choice. Hosting companies are even rated based on the overall service they provide to their customers. As I said earlier, there are dozens of hosting providers in the market who claim to be the best among all by providing all the services in one package, but as a customer, it should be in your responsibility to research about the best hosting package which suits your business needs. Compare packages of various hosting providers, compare features in those packages and price which is an important factor. As customers, we always love some free stuff along with the product or service we are buying and in this scenario, there are some hosting companies which offer free domains to their first time customer. Another aspect you need to see is if you can host more than one domain on a single hosting service. Choose a service where you can run more than two websites on the same server. This is an important point because when you are a customer of a certain hosting service and need to stop the service and move to another service provider in case you are not satisfied with the service you are receiving. You can ask for refund and cancellation of service. All hosting companies offer standard ways to manage your hosting through cPanel Plesk. This is a very basic requirement for customers but it is important to see if a hosting provider is charging you for this service because most of the companies offer it for free. Web Hosting Provider will promise you all kinds of services but you should always be aware of what packages are being offered to you and how much you will be charged for it.